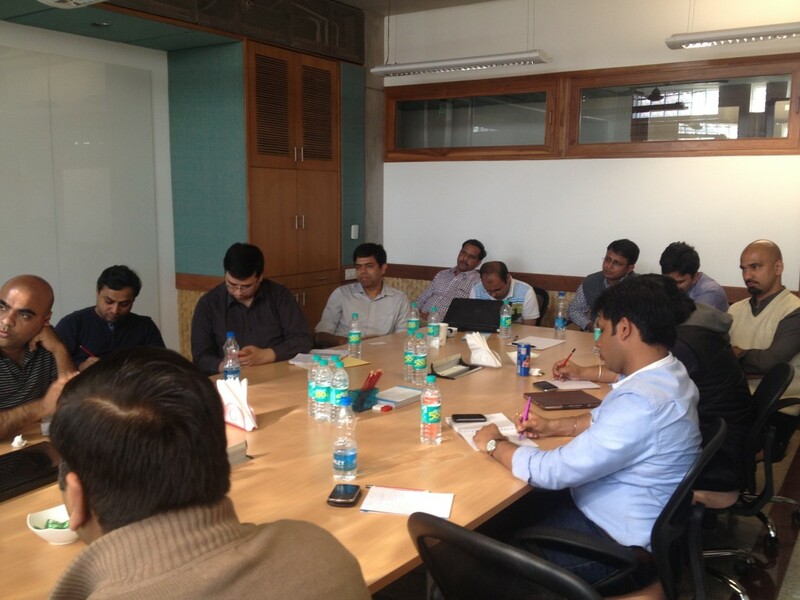 The 26th playbook roundtable was held last week (8th March 2014) at Delhi NCR and brought together over 15 startup and product practitioners to discuss and gain insights on some of the challenging aspects of growth and monetization in product companies. 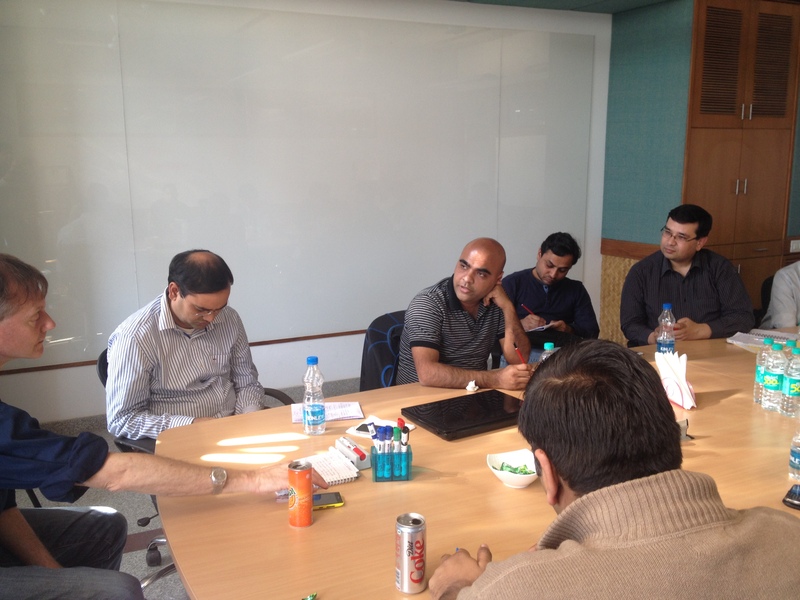 This roundtable was hosted at Eko India Financial Services office in Gurgaon, and was led by Amit Ranjan, Cofounder of Slideshare, and Amit Somani, CPO of MakeMyTrip. In a span of over 5 hours, a diverse set of topics were discussed. 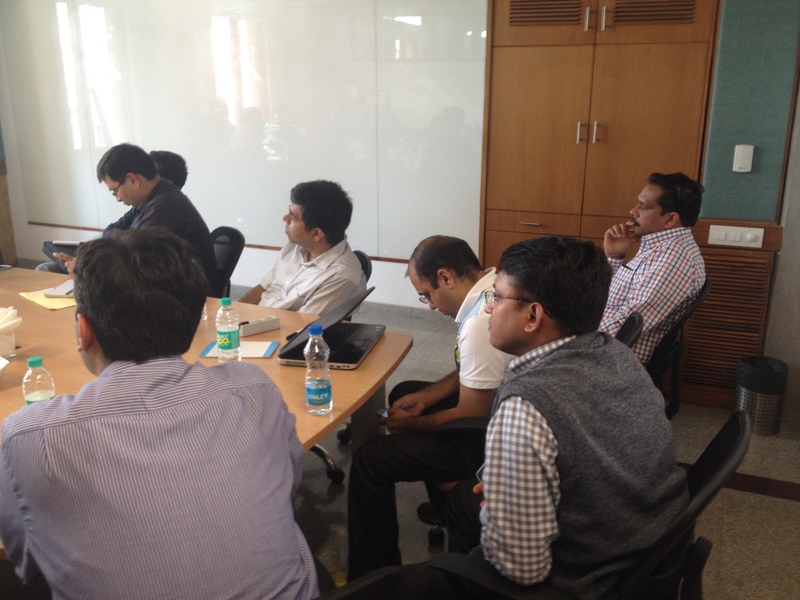 Prominent takeaways from the roundtable were insights on approaches to pricing, virality, growth decisions, pivoting, user experience etc. The following paragraphs detail the key learning from each of these above aspects. Creating a successful company is essentially a search for the repeatable and scalable business model. To succeed in this search, companies should frequently make and test predictions about what will work in their business models. Businesses, no matter, which stage they are in are always pivoting. As a business, while you do focus on your revenues, but you also need to constantly keep thinking what will drive the revenue in 3 years from now and ensure that you slowly move in that direction. Of the so many internet companies, perhaps only a handful will survive 10 years. Amit Somani mentioned how MakeMyTrip is constantly looking at the next big thing. It started from a flight booking venture for NRIs to become the largest flight booking portal for the Indian market and is already evolving to cater to hotels and holiday packages. The next challenge for the company is mobile and ensuring that the company is successful in an increasingly mobile world. Amit Ranjan talked about how often ventures have to 3-4 side projects or “distractions” that help you understand what will work in a fast changing industry and ensure you evolve to address these changes. One of the best ways to achieve 10x growth after successfully validating your product and without spending too much or no money is virality. By definition, virality is designing and engineering your product such that it markets itself. A viral product derives much of its growth from its current users recruiting new users. A user could recruit another through a simple invitation (“Check out this product, it’s cool/useful/entertaining!”), or directly through using the product (“I want to send you money on PayPal!”). Virality is not an accident. It is engineered. Virality is more about width and depth. Amit Ranjan shared interesting insights on how the homepage of Slideshare during the initial days was designed for virality (with several banners and stickers to attract audience) during the initial days and when the portal was able to achieve significant growth, the homepage was redesigned for user experience. If you manage a product or service in the business-to-business (B2B) market, customer requests for features will be a regular part of your work. Requests come in through the sales team, service reps, and senior management, as well as directly from customers themselves. This makes it difficult for companies to decide which feature to include in the product or not. A good thumb of rule to decide whether to include the feature or not is that if 3 customers want it or a pushy a customer wants it and you can sell it to 2 more customers, then you should go ahead and include that feature. A key issue is to how do you know multiple customers have the same request? A common way is to utilize software which allows customers to post ideas, suggestions and requests. There are idea management providers that are good for this. Or you can user customer feedback sites. These asynchronous, always-on, open-to-all sites are well-suited for capturing suggestions. In addition, you may need to check other areas. Your email often contains customer suggestions. Or you have a service ticket database you can check. Relevant knowledge will be in people’s heads, those who directly work with customers. Also, it is very important to validate this feature. This can be done by rolling out first to your employees and then to few customers. This will help validate your thoughts. Generating user training manuals and videos can be a tedious job, especially for ERP kind of solutions, especially when the product is frequently undergoing changes. Also, the general trend seems to be that users have stopped reading trend. Even if people did decide to read the instructions, showing too many at once increases users cognitive load. Because users cannot read the hint overlay and use the app at the same time, they are forced to memorize the instructions and then apply them. Thus, it is more effective to focus on a single interaction rather than attempting to explain every possible area of the user interface. Rather than generating documents and videos which will very soon become redundant, a better approach will be to have built in CTAs in the product to help/guide the users. This includes things such as built in FAQs (built using services such as Zendesk), using coachmarks etc. Presenting hints one-by-one, at the right moment, makes it a lot easier for users to understand and learn instructions. This interaction pattern has the added benefit of teaching the user at which point in the workflow these interactions or functions become applicable. As a product usage grows, enormous amount of data gets collected and sometimes making sense of the data becomes a challenge for Product Managers. It is no wonder that big players such as LinkedIn, Facebook etc. have large teams comprising of data scientists. Data crunching from this team of scientists even help the companies to validate the probability that a particular feature will be liked by their audience. Product Managers are knee deep in the product and data can help take an unbiased look at the product, often yielding amazing insights and learnings. Data Analytics are important for one major reason: What you don’t measure, you can’t improve. Without knowing what the state of the system is, it is very hard, if not impossible, to do much to change or affect the system. You can, of course, make changes blind, but without analytics you will never know whether the system was changed or whether nothing happened. It allows you to see what is currently happening, make a change and see what effect the change has. A good way to make sense of data is to have an hypothesis and then look for local maximas. Apart from that, product managers can apply operations such as segmentation, funnels and cohorts to make more sense of data. Over time, as the system changes and improves, the KPIs (and consequently the metrics) will change, which in turn leads changes in what needs to be measured. It is likely that new flows and metrics will be discovered that prove crucial to the system so whatever the analytics used, they will need to be continuously adapted to meet this change and keep you on top of what’s happening in your product. For a consumer product, completely logged in experience versus a logout experience is a choice between distribution and engagement. Slideshare and Youtube offer a complete logout experience as users do not need to login to access the portal. Linkedin devised an interesting way to incentivize users to sign up. They show a glimpse of profile to users who then need to sign up to view the full profile. It is also imperative that the process to get users through the front door of an application and engaging with content needs to be as simple and seamless as possible if an organization wants to win and keep mindshare. Increasingly a lot of companies are using gamification, but it is more geared towards engagement rather than acquisition.